Broadreach is a leader in experiential programs abroad for middle school, high school, and college aged students. Over the past twenty five years, more than 18,000 students have travelled with Broadreach to over 40 countries. We are looking for PADI Open Water Scuba Instructors to lead teen diving programs in the Bahamas, Bali, the Caribbean, Fiji, Mexico and more. 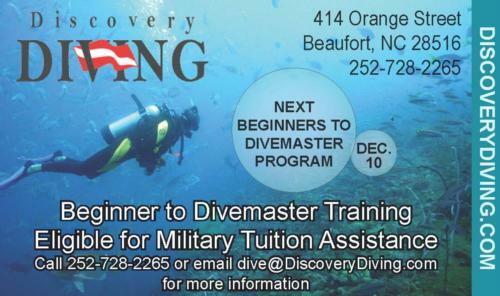 Dive instructors work alongside a marine biologist, skipper, or another dive instructor to successfully lead a program from teaching academics to leading onshore activities and more. In addition to teaching diving, instructors work with their co-leader to supervise students 24/7, facilitate group dynamics, assist students with cooking and cleaning duties, lead games, and other program activities. · Physically fit and comfortable participating in outdoor activities such as hiking, rafting, rock climbing, snorkeling, etc. · Great communication skills and a professional demeanor to serve as a Broadreach ambassador to our international partners throughout the world. · Able to attend staff training in early June in either North Carolina or St. Martin. · Significant international travel experience. · Program leading or experience working with teens or young adults outside of the classroom. · Sailing experience ideal for our Caribbean programs. · Open availability from early June to mid-August increases chance of placement. · Some programs require a valid driver’s license and the ability to operate a manual vehicle. Get the LEAD out ! !